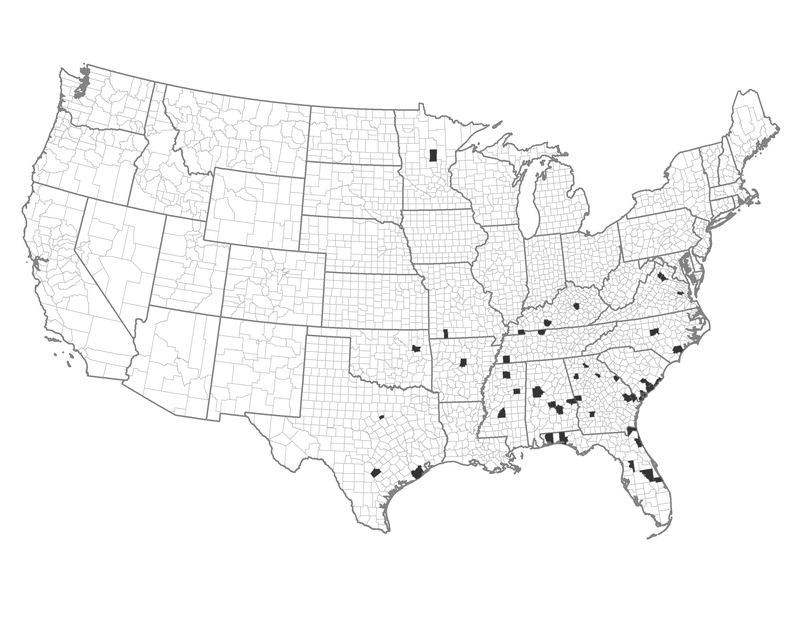 These counties lie within southeastern suburban communities. These areas have a higher demographic advantage and lower fire occurrence than other areas of the southeast. Example of a Typical County — Walton County, Florida: This Florida panhandle county includes much of Eglin Air Force Base. Prescribed fire is routinely used to reduce fuels and maintain wildlife habitat.